Equine Gastric Ulcer Syndrome (EGUS) incorporates a group of distinct disorders that can affect horses of all ages. The disorders primarily affect the stomach, causing spontaneous erosion and ulceration of the gastric mucosa. This article will focus solely on Squamous and Glandular Ulceration, the two disorders that are most frequently seen amongst adult horses. Squamous ulceration is more prevalent than glandular ulceration. The reported rates of squamous disease are 50-90%, with those in race training carrying the highest risk of 90-100%. EGUS has a massive economic impact due to its effect on performance and the high cost of therapeutic and prophylactic medication. What Clinical Signs Should You Be Looking Out For? 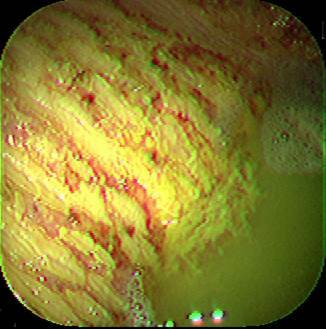 The gold standard procedure for diagnosing Equine Gastric Ulcers is via Gastroscopy. 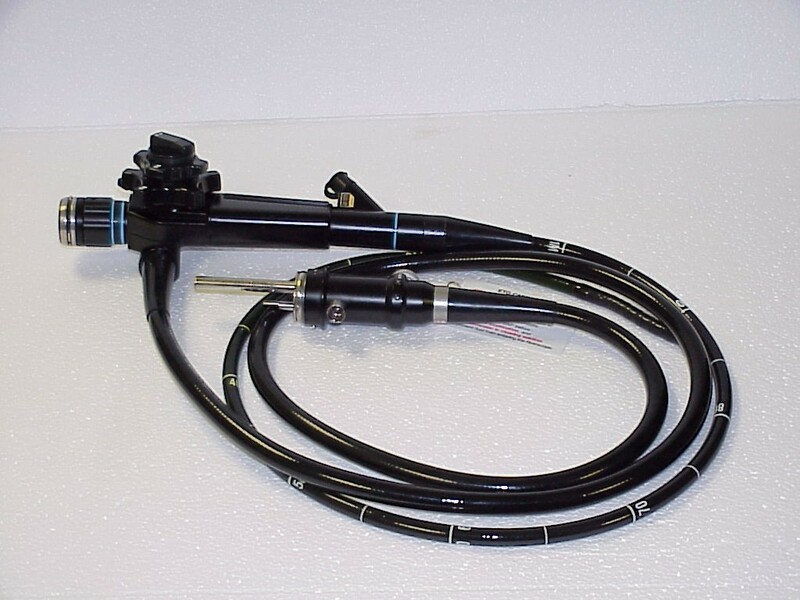 This involves passing an endoscope down the horse’s oesophagus into the stomach enabling visualisation of the entire stomach lining and the beginning of the duodenum (small intestine). For the procedure to be carried out horses must be starved for 12 hours prior to undergoing the gastroscopy and water is usually withdrawn 2 hours prior to the procedure ( see bottom of page) . The procedure is carried out under standing sedation and is usually tolerated well by most horses. Ulcers are graded using a grading system from 0 – 4. Grade 0 indicates the presence of no ulcers and an intact healthy stomach lining whereas Grade 4 indicates extensive lesions with apparent deep ulceration. The squamous and glandular parts of the stomach can be graded separately or together. It should be noted that sometimes the correlation of endoscopic findings and the degree of clinical signs are not linked. Treatment is aimed at medical management and implementing various environmental strategies to try and reduce the incidence of gastric ulceration. The aim of medical treatment is to reduce gastric acidity. There are various drugs used to do this, however, the gold standard and most commonly used drug of choice is Omeprazole, otherwise known as ‘Gastroguard’. This suppresses gastric acid production for approximately 24 hours. The recommended treatment course is 28 days, however can be shorter. Omeprazole should be given 30-60 minutes before feeding in the morning. Half doses can be used as a preventative measure. However, it has been found that these are usually not suitable to treat gastric ulceration alone and some have poor efficacy.